In the long standing tradition of high performance BMW “is” models, BMW today announced an enhanced performance version of the 1 Series Coupe and Convertible called the BMW 135is. With the anticipation of enthusiasts around the world at fever pitch, BMW M GmbH unveiled the newest member of its intimate product family. For the first time, the coveted M badge has been granted to the popular BMW 1 Series in the form of the all-new BMW 1 Series M Coupe. 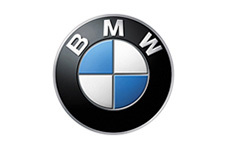 BMW will unveil two stunning signature cars at the North American International Auto Show in Detroit in January. BMW today announced several modifications to the 2012 BMW 1 Series Convertible that accentuate efficiency and premium quality. The unmistakable profile of the 1 Series Convertible, which represents the purest expression of BMW DNA is now sharper than ever. BMW today announced several modifications to the 2012 BMW 1 Series Coupe that accentuate efficiency and premium quality. The unmistakable profile of the 1 Series Coupe, which represents the purest expression of BMW DNA is now sharper than ever. For drivers whose definition of Joy includes wind in the face and sunshine above, the BMW 1 Series Convertible continues the tradition established by the iconic BMW 2002 sport sedan. In 2008 BMW introduced the 1 Series, an authentic performance coupe that draws inspiration from the iconic BMW 2002 model of some 40 years ago.